This paper, co-written by Jackson Koeppel, executive director of Soulardarity in Highland Park, Michigan, and Liz Veazey, network director of We Own It, proposes a component of the Green New Deal that is explicitly designed to free communities from the unjust power of investor-owned utilities for the sake of not only de-carbonization but in order to transform our economy so it serves everyone. It’s called the Community Ownership of Power Administration, or COPA. Modeled after the original New Deal’s Rural Electrification Administration, COPA could give communities the much-needed finance and capacity to kick out their investor-owned utilities in favor of community-run, renewable-powered utilities. COPA would provide a catalytic tool for a new energy system based on local, community benefit. Municipalities, counties, states and sovereign tribal nations could gain the necessary legal authority along with access to a suite of patient financing and funding mechanisms—including low-to-no-interest loans, grants and other incentives—needed to terminate their contracts with investor-owned utilities, buy back the energy grid to form a public or cooperative utility, and invest in a resilient, renewable system. Investor-owned utilities have a long history of prioritizing moneymaking over the needs of communities. BC Hydro granted by far the largest Site C dam direct award contract to a construction company belonging to McLeod Lake Indian Band, the Treaty 8 member that has spoken out widely in support of the project, according to documents The Narwhal obtained through a Freedom of Information (FOI) request. 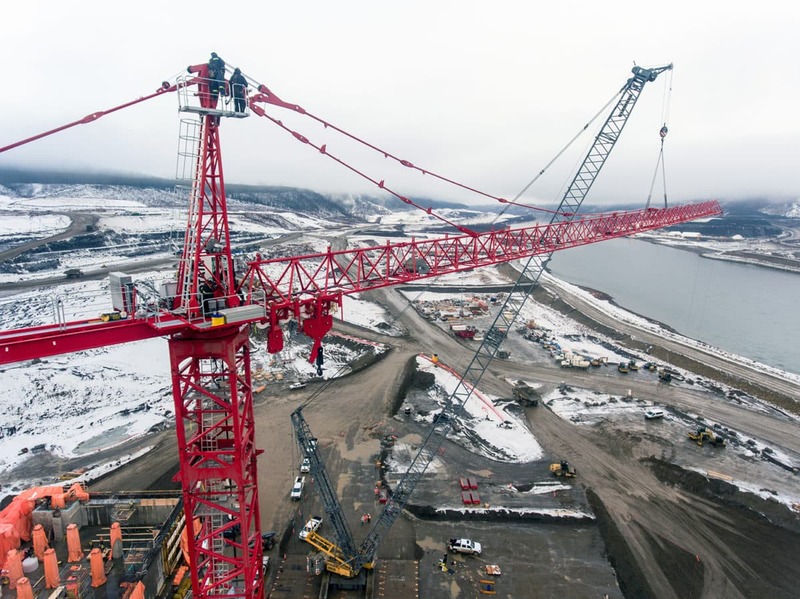 Duz Cho Construction, a Chetwynd-based company with roots in the oil patch and mining industry, received a $29.5 million direct contract for “site preparation” work in 2016 on the Peace River’s south bank, according to the documents. The contract was among 38 Site C project direct award contracts worth close to $90 million that BC Hydro granted from March 2016 to October 2018, including contracts to numbered companies, the documents show. Numbered companies receiving public money should have their ownership clearly identified, Travis said, noting that transparency is especially important in light of the unfolding expenditure scandal at the B.C. Legislature. This is an excellent summary of the major events in the oil and gas industry in Canada. With the cancellation of Northern Gateway and Energy East, and continued uncertainty around Keystone XL, the industry turned to the expansion of the Trans Mountain pipeline as its best hope to establish access to tidewater for the growing Canadian oil production. Trans Mountain was a lightning rod in the Lower Mainland, inspiring pro- and anti-pipeline protests and strong statements from First Nations both supporting and opposing the expansion. In the face of heavy BC Government opposition, the project proponent, Kinder Morgan, announced that it would cease work on the project; prompting the Government of Canada to step in and acquire the entire Trans Mountain project for $4.5 billion. Non-profit, donation-run Ikwe Safe Rides is an alternative to taxis powered by Indigenous women. Williamson, who is Indigenous, says Winnipeg, Manitoba has a reputation. While no one would argue women aren’t made to feel unsafe in any geographical location you can name, cab drivers in Winnipeg have built a culture of acceptable harassment toward women, but particularly, Indigenous women. 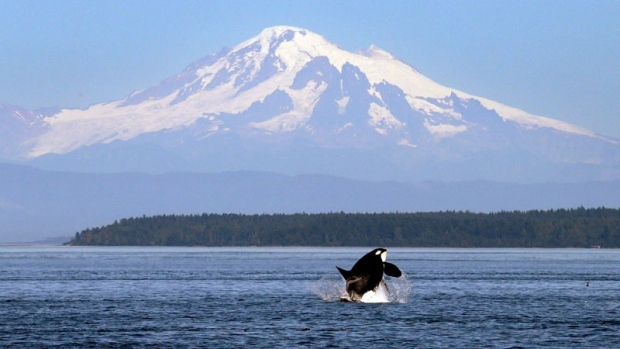 VANCOUVER – Indigenous groups in Canada and the United States are calling for a study of how human activity has degraded the waters off British Columbia’s coast before any new vessel traffic is allowed in the area, where port and pipeline activities are on the rise. Amid mounting calls to phase out fossil fuels in the face of rapidly worsening climate change, the United States is ramping up oil and gas drilling faster than any other country, threatening to add 1,000 coal plants’ worth of planet-warming gases by the middle of the century, according to a report released Wednesday. By 2030, the U.S. is on track to produce 60 percent of the world’s new oil and gas supply, an expansion at least four times larger than in any other country. By 2050, the country’s newly tapped reserves are projected to spew 120 billion metric tons of carbon dioxide emissions into the atmosphere. That would make it nearly impossible to keep global warming within the 2.7 degrees Fahrenheit above pre-industrial averages, beyond which United Nations scientists forecast climate change to be catastrophic, with upward of $54 trillion in damages. Project would have made BC a major gateway for US thermal coal. Jeff Scott, president and CEO of Fraser Surrey Docks, whose proposed coal transfer project will not go ahead. Photo by David P. Ball for The Tyee. 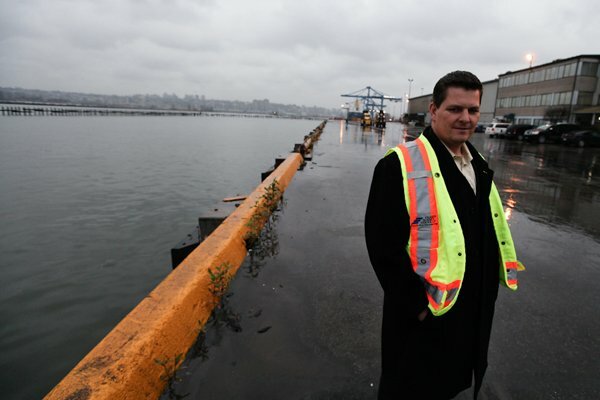 A contentious coal facility planned at Fraser Surrey Docks has been scuttled by the Port of Vancouver. In 2014, the port approved a plan for coal to be loaded onto barges for transport to Texada Island on to ships bound for Asia. The project was amended in 2015 to allow for direct loading onto ocean-going ships in the Fraser River. 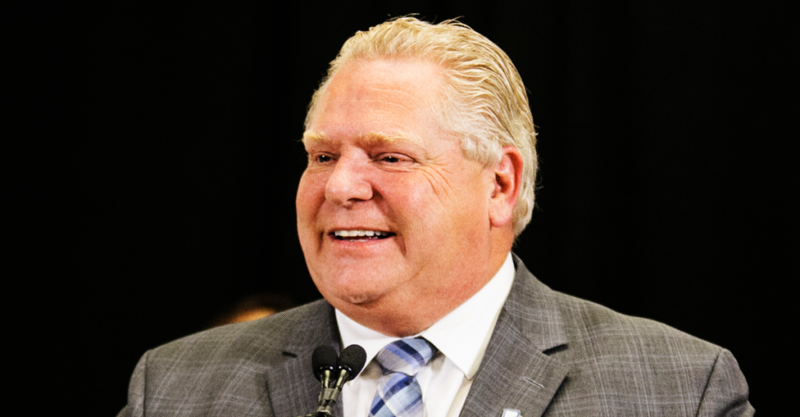 Leaked documents revealed this week that the Ford government is creating a new health “super agency” that will have the power to demand hospitals contract out services to private companies. Advocates are warning the ‘super agency’ has, under the draft’s terms, the power to demand effectively any part of Ontario’s health service contract out to any one it mandates, with few limits. Fear mongering about cross-border funding for environmental groups has ramped up in recent weeks and months, increasingly making its way into news stories, social media feeds and political rhetoric. Led by proponents of the oil and gas industry, these divisive statements and exaggerated claims are nothing but an attempt to distract Canadians from the real issues – such as the urgency of the climate crisis and the need to shift our economy away from fossil fuels. 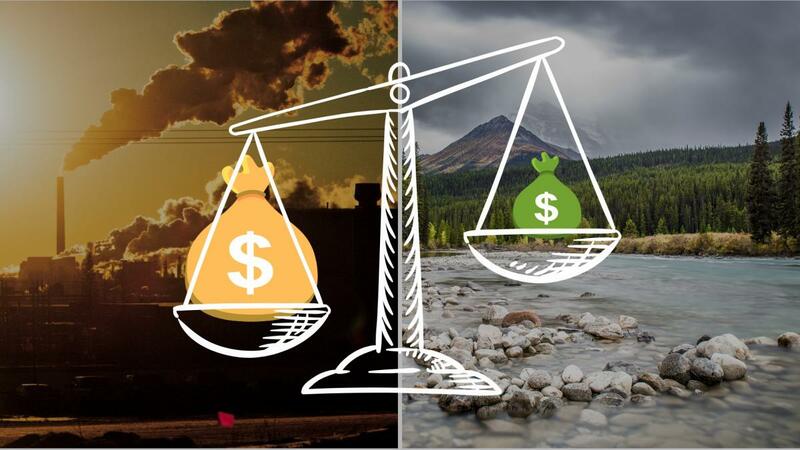 Critics point to the success of Canadian environmental organizations at garnering support from international donors as evidence that outsiders are having an undue influence on Canadian policies concerning energy and the environment. Some go so far as to suggest that “foreign-funded” environmental campaigns are part of a conspiracy that unfairly targets Canadian oil companies, to the benefit of oil producers south of the border. This type of misinformation and the unwarranted attacks on environmental groups are undermining democracy, and Canadians deserve better.